Before you assume that forced and coerced abortions are either a thing of fiction or a factor only in far-flung regimes like China and its longstanding "One-Child Policy," you need to take a look at what's going on in what most consider the most liberal state in the U.S.
To the abortion-peddlers pulling the strings in California, abortion isn't just considered an ultimate good. It's bordering on mandatory—particularly once woman has darkened the hallowed doors of an abortion clinic. "Liberal" has nothing to do with California's agenda. And neither does the much-beloved nicety called "choice." While persecuting investigators who dare expose the abortion cartel's in-state dealings, California's attempt to take the "choice" right out of abortion is clear as day through its so-called "Reproductive FACT Act," which passed in 2015. Appealed to the United States Supreme Court on grounds that it violates the First Amendment, the law requires pro-life pregnancy help medical clinics to advertise the availability of "free or low-cost" abortions to all their patients. Laughably, the law's stated intent is to ensure that pregnant women are made aware of all legal treatment options available to them—an intent that could easily be accomplished (as if women don't already know abortion is legal and available) through an energetic public advertising campaign, as one county judge made painfully clear in her ruling this summer. But with its focus on "choice" through the Reproductive FACT Act, California pro-aborts almost had us convinced they were at least minimally interested in women knowing enough about available options to make a free choice about her pregnancy. Then, the California Board of Registered Nursing happened. In case a refresher is needed, "choice" necessarily implies that there are at least two options from which to choose. While the California legislature claims to be championing options, the Board of Registered Nursing from the same state is working painstakingly to eliminate one of the choices available to women, forcing women to go through with an abortion they started, even if during the process they decide they do not want it. This is forced abortion every bit as much as what has gone on for decades in Communist China. And it's happening because of abortion-enslaved lawmakers in the Golden State. Let's talk a bit about what, exactly, the California Board of Registered Nursing cracked down on when it threatened to revoke Heartbeat International's status as a continuing education provider over our commitment to educate nurses on a process known as the "Abortion Pill Reversal." A chemical abortion (i.e. "the Abortion Pill," "RU-486" or the wildly inaccurate moniker "medication abortion") involves two doses of synthetic hormones aimed at ending a child's life through abortion. The first (Mifepristone) blocks progesterone to prevent the human embryo from implanting in the uterus. The second (Misoprostol), taken a couple days later, causes the uterus to expel the embryo. The Abortion Pill Reversal—a medical intervention applying FDA-approved use of progesterone—comes into play after the first pill is taken. If a woman changes her mind after taking Mifepristone, a doctor has a particular window of time to give her progesterone to try and halt the abortion process and allow her to continue her pregnancy. The protocol was developed in response to women who wanted options for continuing their pregnancies—even after taking Mifepristone. In North Carolina in 2006, Dr. Matthew Harrison administered progesterone in an attempt to counteract Mifepristone, and, months later, a healthy baby girl was born. On the other side of the country, three years later, Dr. George Delgado independently used the same protocol to disrupt the abortion process, also resulting in a healthy baby girl. The two doctors later connected and formed the Abortion Pill Reversal Network, which is now comprised of over 350 doctors nationwide. Using this breakthrough medical intervention, the Abortion Pill Reversal Network has allowed more than 300 women to give birth to their babies. Women want this choice available to them. The number of women calling Abortion Pill Reversal's 24/7 hotline has doubled in the last year. Each of these women is trying to make the very choice abortion devotees have for so long claimed to champion. Regardless of who stands where on the question of abortion, we should all agree on a mother's right to choose against abortion. Strikingly, we don't. It's not surprising that the protocol has had so much success—progesterone has been used to prevent miscarriage for over 50 years. Extensive medical literature demonstrates that the use of progesterone in early pregnancy is very safe for the mother and her developing baby. Nevertheless, the California Board of Registered Nursing wants to shut down education on this protocol, effectively eliminating options for women who do not want to go through with their abortions. The influence and stature of California's Board of Registered Nursing—the gold standard for all 50 states—means that Dr. Kliman's prescription to his own daughters would be out of step with so-called "settled science." Quite the glaring double-standard. Heartbeat International, a Continuing Education Provider through the California Board of Registered Nursing, began offering continuing education courses online to train nurses on the Abortion Pill Reversal protocol in 2012. Beginning in 2013, the courses were also available for credit at Heartbeat's annual conference, which draws over 1,000 people from around the world, allowing nurses to earn credit while learning about this groundbreaking medical intervention. The APR course is one of many courses that nurses can take at conference for continuing education credit—all of which are geared to opening options for women in unexpected pregnancies. In 2016, the allegedly "pro-choice" e-rag Rewire.com slammed the Board of Nursing for allowing nurses to learn about this legal treatment option—which, to repeat, is up to snuff for the daughter of a Yale medical professor. Responding to his betters at Rewire.com, state senator Jerry Hill (D-San Mateo)—who voted in favor of the Reproductive FACT Act because, apparently for "choice" —obediently applied pressure to the Board of Nursing because it had the audacity to approve of education on the legal treatment option of stopping an abortion. In turn, the Board of Nursing (itself led by an appointee of Gov. Jerry Brown) launched a 17-month audit of Heartbeat International in early 2016. Though the Board was initially skeptical of the Abortion Pill Reversal protocol, Heartbeat International worked with them to resolve questions about its science and the relevance for nursing. The audit seemed to have reached a favorable conclusion when, on July 28, the Board informed Heartbeat International that it could resume awarding credit for APR courses. A mere six weeks later, the Board reversed itself (again), threatening to revoke Heartbeat International's provider status entirely if it dared speak of the option of interrupting an abortion. Would you like to know why? The course, says the Board, is "not relevant to the practice of nursing." If the State can prevent nurses from learning about APR, can it punish them for administering this life-saving option to women? Can it prevent doctors from prescribing it? Pregnancy centers from speaking about it? California is mere steps away from enshrining policy that women must complete their abortions – forcing abortion on women in the name of "choice." No woman should be forced into an abortion she does not want, and this includes women who have begun the abortion process. Pro-abortion forces have convinced themselves that this protocol is an attempt to "create a narrative of regret" or "undermine abortion care." But these are veiled attempts—and poorly veiled, I might add—to strip away a woman's right to choose what to do with her own body, and with that of her child. As any woman who has experienced a challenging pregnancy can attest, the moment we see the double lines on a pregnancy tests, we embark on a journey that leads in one of two directions: either in abortion or with a warm, wiggling baby in our arms. That journey is as unique as each pregnant woman. For at least 300 women, it included an initial abortion decision followed by a choice for life. California may have a business interest at stake, but it has no business trying to shut down that choice. Danielle M. White, J.D., has served as legal counsel for Heartbeat International since 2015. 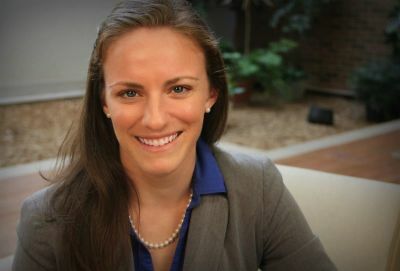 A graduate of Ave Maria School of Law, where she was a recipient of the prestigious Blackstone Fellowship, Danielle has used her legal training to defend the traditional family, religious liberty and the right to life as an Allied Attorney with Alliance Defending Freedom and as a summer associate with The Thomas More Society in Chicago. A wife and mother of two, Danielle has always been passionate about serving women facing unplanned pregnancies. She grew up attending pro-life events, such as the annual March for Life in Washington, D.C., and served with a maternity home during law school.